A proposed multibillion-dollar liquefied natural gas project slated for rural Nova Scotia has jumped another hurdle. Five environmental groups, including the David Suzuki Foundation and the Wilderness Committee, are taking the federal government to court, claiming it has failed to meet its responsibilities under the Species at Risk Act to protect endangered wildlife threatened by the proposed Enbridge Northern Gateway pipeline. Both LNG terminals being considered for the Prince Rupert area cleared another hurdle on Dec. 16 as the National Energy Board approved export licences for both Pacific NorthWest LNG and the BG Group's proposed Prince Rupert LNG Exports Ltd.
EDMONTON - A promised report into the safety of Alberta’s vast pipeline network prompted by a series of high profile spills fails to dig into some of the most serious concerns, critics said Friday. The Government of Alberta supports the innovative, responsible and sustainable development of our province’s energy resources through a variety of technology funds and initiatives. Both the Hydropower Regulatory Efficiency Act of 2013 and the Bureau of Reclamation Small Conduit Hydropower Development and Rural Jobs Act were signed into law by President Barack Obama earlier today. Thomson: Will we ever see pipeline report? I’m not sure anybody looks forward to the end of summer. But I would hazard a guess that of all those not looking forward to it, nobody is dreading the end of summer more than Energy Minister Ken Hughes. Not even schoolchildren and road construction crews. CALGARY — British Columbia has formally rejected Enbridge Inc.’s proposed Northern Gateway pipeline to the West Coast from Alberta, saying the company has failed to adequately explain how to deal with a major heavy oil spill on land or in coastal waters. 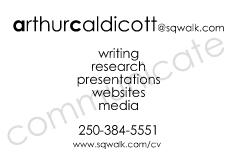 Extracting info: Why’s it so hard to get the goods on oil spills? CALGARY – It can be tough to get a good sense of how safe Alberta’s oil industry is when you can’t access the information you need. OTTAWA — Building a diamond mine, expanding an oilsands mine, offshore exploration or an interprovincial bridge could soon require a federal environmental review under proposed additions and subtractions to the Harper government’s new environmental rules.But provincially regulated pipelines, facilities used to process the heavy oil from the oilsands, pulp and paper mills as well as chemical explosive plants are among those being deleted from a list of projects requiring federal environmental investigations prior to approval. OTTAWA – Lobbyists from Canada’s oil and gas industry recommended the Harper government’s 2012 strategy to put multiple changes to a series of environmental protection laws into a single piece of legislation, says a newly-released internal federal document. The National Energy Board is changing its rules for participation in public hearings, starting with its hearings in August into the reversal of a pipeline that runs through Ontario to Montreal. A federal review panel weighing the future of a stalled gold and copper mine in the B.C. Interior is wondering just what, exactly, the panel is supposed to be assessing after federal changes to the environmental assessment process. 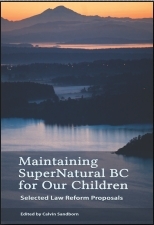 Today the ELC announced the release of Maintaining SuperNatural BC for Our Children: Selected Law Reform Proposals. This book is a series of 35 short, readable articles – punctuated by photos and cartoons - that describe key environmental law reforms the next provincial government should consider. OTTAWA --- The federal review panel assessing the controversial Northern Gateway oilsands pipeline to B.C. is now demanding that Enbridge table a report from a U.S. regulator who concluded that the company acted like the Keystone Kops in a 2010 Michigan spill and had a corporate "culture of deviance." Within two years, the Enbridge tar sands pipeline has managed to release more than 850,000 gallons of oil in two different spills. The first spill in Southwestern Michigan released over 800,000 gallons of oil and cost more than $800 million to clean up. The second spill released 50,000 gallons in Adams County, Wisc., smaller than the first spill but still requiring two homes to evacuate. These spills cause great economic and environmental harm to affected communities, but barely create an inconvenience for Enbridge, which posted quarterly earnings over $300 million in the last quarter. VANCOUVER - Calgary-based Enbridge (TSX:ENB) has offered improvements to its Northern Gateway pipeline to boost safety beyond "state-of-the-art," but British Columbia Premier Christy Clark is looking at a standard much further afield.